The new restaurant on Loring Park brings new and old friends to the neighborhood for a night of both quietude and revelry, of sculptures made of light, of performance art, film, espresso, and music! 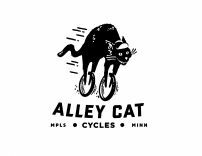 Alley Cat Cycles is an owner operated shop in the classic Loring Corner’s alley just on the west edge of downtown Minneapolis. Commuters, messengers, and joy riders stop in for repairs, consultations, used bikes, and custom new builds. It is where an old world bike shop feel meets old school BMX and all bike styles are welcome. Our Mission: We champion craft. Our Vision: A culture in which craftsmanship is embraced for its contributions to community, economy, and human fulfillment. The American Swedish Institute is a vibrant arts and cultural center that serves as a gathering place for people to share stories and experiences around universal themes of tradition, migration, sustainability, craft and the arts, all informed by enduring ties to Sweden. Ananya Dance Theatre, a pioneer in contemporary Indian dance, is a Twin Cities-based company of women artists of color. It creates original dance theater with a trademark emotional intensity, physical prowess, and choreographic aesthetic that explores and celebrates feminine energy at the intersection of artistic excellence and social justice. The Art Institutes International Minnesota offers creative and applied arts programs in a caring, inspiring environment where students can maximize their creativity, enhance professional development, and acquire the skills and knowledge to pursue a career in the arts. 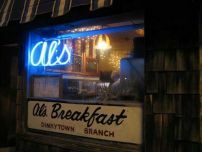 Art Shanty Projects is an artist-driven temporary community devoted to expanding the notions of what art can be. It explores the ways relatively unregulated and surplus public spaces can be used as new and challenging artistic environments. 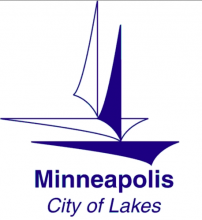 The City of Minneapolis Arts, Culture and the Creative Economy program’s mission is to leverage the creative sector towards social and economic growth in the city of Minneapolis. Artspace is America’s leader in artist-led community transformation. With headquarters in Minneapolis and offices in Los Angeles, New Orleans, New York, Seattle and Washington DC, Artspace runs a network of more than 35 affordable arts facilities in 13 states. The Bell Museum was established to collect, display and interpret Minnesota’s diverse animal and plant life for research, teaching and public enjoyment. We hope creativity and scientific literacy flourish as people are moved to ask about our place in the Universe, and become teachers, researchers and leaders in environmental issues. 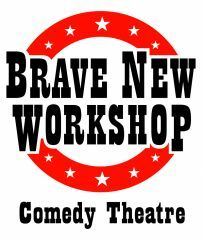 The Brave New Workshop has been writing and performing original sketch comedy and improvisation longer than any other theatre in the United States. Now in our 56th year of crafting audacious, hilarious, and thought-provoking comedy and satire, the BNW is a Minneapolis institution, and a unique place to laugh, learn, think, and play. We provide an introduction to the practice of art for all students as well as immersive training for emerging artists. We promote creative expression and conceptual development through a broad range of art disciplines and practices. Initial experiences emphasizing traditional methods are supplemented at intermediate and advanced levels by experimental processes. The annual Eyeo Festival brings together creative coders, data artists and hackers for talks, workshops and interactions with open source instigators, creative practitioners and new media pioneers. Gamut Gallery brings people together to create, collaborate, and to experience art. The principle that art fosters community drives our inclusive philosophy. We showcase an extensive range of visual and experiential art with a focus on collaborative works. Gorilla Yogis is yoga out of captivity and roaming the urban jungle. Once a month we host donation based community yoga events raising money and awareness for local organizations who do hard work to make the Twin Cities an awesome place to live. HECUA builds academic-community partnerships for social change. We empower students to develop and articulate a sense of values and ethics in relation to the world and to facilitate the development of skills to act with passion and purpose in their communities. HiFi Hair and Records is dedicated to the preservation, revival, and building of the Twin Cities music scene. Our local music has inspired us throughout our lives, and continues to do so. Music is fashion, music is visual, music is spiritual,and should always be recognized as a life force. The Institute for Advanced Study at the University of Minnesota supports and encourages interdisciplinary and collaborative work, creating intellectual community across and beyond the boundaries of the University. In its new home in Northrop, the IAS continues to offer lively and extensive public programming that serves as a forum where substantial questions are addressed in creative ways. Juxtaposition Arts develops community by engaging and employing young urban artists in hands-on education initiatives that create pathways to self-sufficiency while actualizing creative power. The Katherine E. Nash Gallery is a research laboratory for the practice and interpretation of the visual arts. 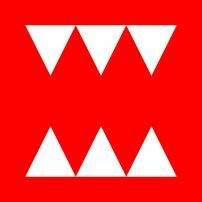 We believe the visual arts have the capacity to interpret, critique and expand on all of human experience. Our engagement with the visual arts helps us to discover who we are and understand our relationships to each other and society. 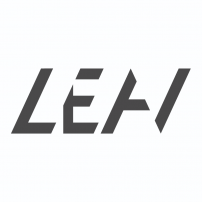 Leav is a free mobile platform for placing, viewing, and sharing digital art that is both shaped by and linked to specific variables like location, time, and other environmental factors. In a digital world where location is all but forgotten, Leav accentuates the power of place. Artists design their work to create an experience inseparable from your surroundings– providing unique opportunities to rethink interactivity and engage people where they live, work, and play. 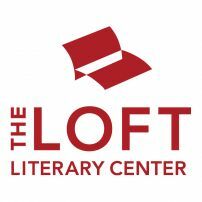 The Loft strives to advance the artistic development of writers, foster a writing community, and inspire a passion for literature through a wide variety of learning opportunities, grants and awards for writers, and community events and publication readings. Lunalux has been preserving the traditions of letterpress printing since 1993. We use vintage equipment and modern design sensibilities to create bold posters, cheeky cards and luxurious invitations. Visitors to our Loring Park studio are invited to peek into our printing workroom and browse in our stationery & gift boutique. MacPhail Center for Music is a nonprofit organization committed to transforming lives and enriching the community through music education. Each year, MacPhail opens its doors to more than 9,000 students, offering programming for all ages and abilities at locations in Minneapolis, White Bear Lake, and Apple Valley as well as 64 community partnerships across the Twin Cities metropolitan area. MacPhail has a history of 104 years of excellence, promoting lifelong learning and building long-term relationships between students and teachers. Made Here showcases Minnesota’s wealth of artistic talent to activate the vibrant downtown Minneapolis Cultural District. From locally created visual displays in vacant storefronts, to pop-up parks and art galleries and live performances in commercial spaces, the rich diversity of the Twin Cities’ cultural community is front and center for all to share. The Midtown Greenway Coalition is a member-based coalition of neighborhoods and individuals who love the Midtown Greenway. We’re the people who got the Greenway built by public agencies, and now we work to protect and enhance it every day. Join us! 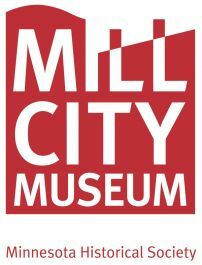 Built within the ruins of the National Historic Landmark Washburn A Mill, the award-winning Mill City Museum chronicles the people and industries that built Minneapolis, transformed a region, and influenced our world. The story comes to life through the eight-story Flour Tower, Water Lab, Baking Lab and other hands-on exhibits. The Minneapolis College of Art and Design educates individuals to be professional artists and designers, pioneering thinkers, creative leaders, and engaged, global citizens. The MCAD Gallery showcases and interprets contemporary art and design through diverse exhibitions and events throughout the year. The Minneapolis Convention Center (MCC) is the largest indoor, contiguous,convention center in the Upper Midwest with over 1.5 million visitors annually. 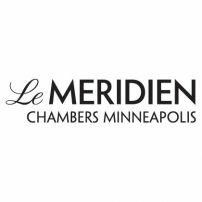 The Minneapolis Institute of Arts enriches the community by collecting, preserving, and making accessible outstanding works of art from the world’s diverse cultures. Minnesota Center for Book Arts is the Twin Cities’ home for contemporary artists exploring the traditional crafts of bookmaking: letterpress printing, hand papermaking, bookbinding, paper marbling, screenprinting, and more. MCBA offers workshops, exhibitions and events that inspire and engage artists, designers, creative Do-It-Yourselfers, and art enthusiasts at all levels. 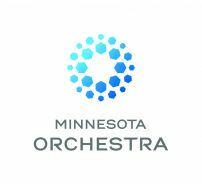 The Minnesota Orchestra, now in its second century, has long ranked among America’s top symphonic ensembles, with a distinguished history of acclaimed performances in its home state and around the world; award-winning recordings, radio broadcasts and educational outreach programs; and a visionary commitment to building the orchestral repertoire of tomorrow. 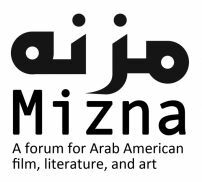 Mizna is a forum for Arab American literature, film and art. Mizna publishes the only journal of Arab American literature, produces the Twin Cities Arab Film Festival, and invests in varied other cultural activities such as writing workshops, community dialogues, and collaborative projects that delve into the Arab American experience. The Museum of Russian Art’s mission is education, enlightenment and engagement through the art of Russia. The Museum provides an opportunity to discover art and develop a thirst for learning about other cultures. It strives to act as a steward for better understanding of the universal, human cultural connections that bind us together. The Musicant Group is a multidisciplinary firm that creates places where people want to be. We work with private, public, and non-profit partners and clients to transform under-used indoor and outdoor spaces into active destinations that people seek-out on a daily basis. 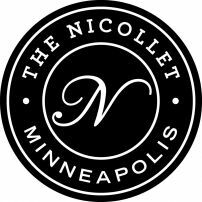 We are a coffee shop/bar/restaurant that proudly supports Twin Cities artists by facilitating displays and performances in a variety of media. Northern Clay Center’s mission is the advancement of the ceramic arts. Ongoing programs include exhibitions by contemporary ceramic artists; classes and workshops for children and adults at all skill levels; studio space and grants for artists; and a sales gallery representing many top ceramic artists from the region and elsewhere. Northern Lights.mn is a roving, collaborative, interactive media-oriented arts agency from the Twin Cities for the world. It presents innovative art in the public sphere, both physical and virtual, focusing on artists creatively using technology, both old and new, to engender new relations between audience and artwork and more broadly between citizenry and their built environment. Northrop is an epicenter of discovery and transformation that connects the University of Minnesota and communities beyond by celebrating innovation in the arts, performance, and academics. On Being is a social enterprise with a radio show at its heart. A Peabody Award-winning public radio conversation and podcast, a Webby Award-winning website and online exploration, a publisher and public event convener, On Being opens up the animating questions at the center of human life: What does it mean to be human, and how do we want to live? 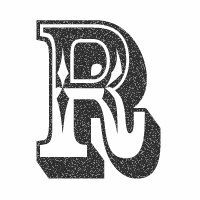 Revolver is an arts and culture publication based in the Twin Cities. It publishes powerful writing on its website as well as in print, and organizes events that redefine literary. Accredited by the National Association of Schools of Art and Design, Saint Cloud State University’s art department serves 300 majors, offering BAs in art and art history, a BS in art education, and a BFA in studio arts with concentrations in graphic design, 2-D media, 3-D media, and integrated media. 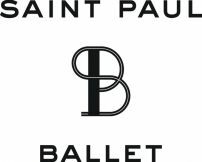 Saint Paul Ballet’s mission is to provide the finest dance education, reduce barriers to involvement in the art of dance, and perform a vibrant repertory with a passion for the highest level of excellence. The Company of Saint Paul City Ballet is artist-led artistically and administratively. The technical foundation of the Company springs from a deep love of classical ballet, however dares to extend this traditional movement vocabulary into a contemporary lens. The Soap Factory is a laboratory for artistic experimentation and innovation, dedicated to supporting artists and engaging audiences through the production and presentation of contemporary art in a unique and historic environment. Based in the historic National Purity Soap Factory in Minneapolis, The Soap Factory is a 501(c )(3) non-profit. Soo Visual Arts Center, founded in 2001, is a non-profit 501 (c)3 arts organization committed to exhibiting the work of exceptional artists and to creating opportunities that foster the understanding and creation of art. SooVAC cultivates an open and inviting environment that facilitates the interaction of art, individuals and communities. 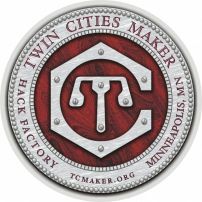 Twin Cities Maker, a 501(c)3 educational non-profit, runs our physical space, the Hack Factory, which is a community based, member supported workshop space, with a metalworking shop, wood shop, classroom, electronics lab, laser cutter, and more. Our mission statement: Make, Share, Learn. We teach classes to benefit our members and community. Upstream Arts provides arts programming for youth and adults with disabilities. In its classes, teams of teaching artists lead theatre, dance, visual arts and poetry activities designed to develop social and communication skills central to success in school, work, and life. We focus on immersive media experiences at the intersection of art, technology, and social good. The Vine Arts Center in Minneapolis is an art-inspired space. Artist members work cooperatively to unite diverse artists, patrons, and the broader community through our creative presence and events. On the National Register of Historic Places, the Foshay Tower was built by multimillionaire real estate developer Wilbur B. Foshay in 1929 and was instantly heralded as a modern, art deco masterpiece. Painstakingly restored and transformed into a W hotel in 2008, the Foshay has a museum on the 30th floor where visitors can learn about the building, then venture out to the open-air observation for panoramic, 360-degree views of the Twin Cities. The Weisman Art Museum (WAM) at the University of Minnesota creates art experiences that spark discovery, critical thinking, and transformation, linking the university and the community. Education is central to the museum’s mission to apply the intellectual and creative resources of a great university to make art essential to the human experience. One of the longest established new music groups in the country, Zeitgeist is a music ensemble that presents a variety of new music in our Lowertown performance space, Studio Z. Always eager to explore new artistic frontiers, Zeitgeist creates work that challenges the boundaries of traditional chamber music.